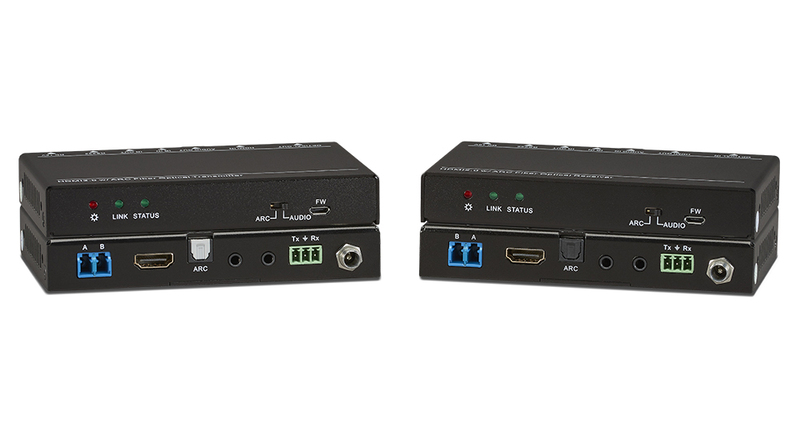 The KanexPro EXT-4KFIBERPRO is an HDMI 2.0 extender set engineered to extend 4Kx2K@60Hz with 4:4:4 Chroma Sampling rate and HDR up to 984ft. (300m) with zero latency. 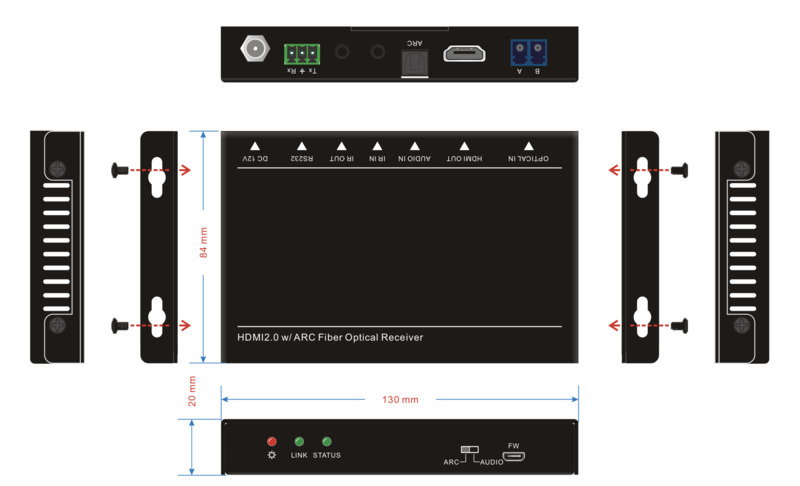 Compliant with HDCP 2.2, the set includes one transmitter and one receiver via two- single mode optical fiber ports or two OM3/OM4 multi-mode fiber cables. 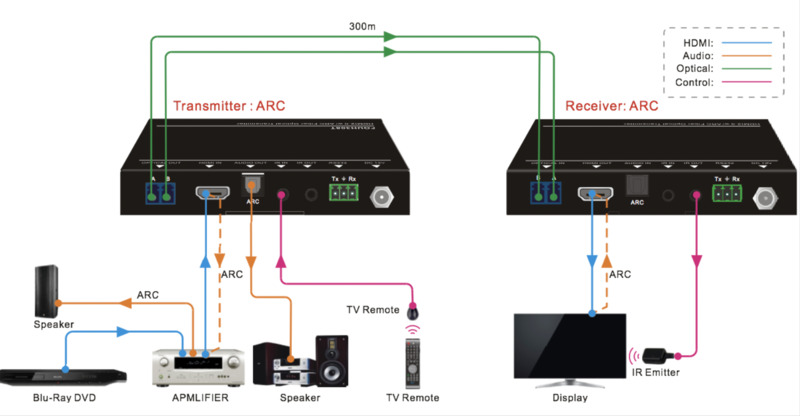 Front panel Dip switch allows SPDIF ports on both the sender and receiver to function as ARC (Audio Return Channel) mode or normal audio support for downstream devices. This extender can also be controlled over fiber via bi-directional IR and RS-323C. A fiber optic connection is extremely secure and immune to RF and EM interference ensuring reliable and industrial grade performance when it comes to signal integrity and offers future proofing solution for years to come. Ideally, fiber-based transmissions are the most reliable and secure method of delivering digital HD video, audio, data over long-haul fiber optic cables mainly deployed in government, command and control systems and digital signage applications where security and high-resolution imagery is critical for day to operations without any signal downtime or degradation. Bi-directional IR and RS232 pass-though. Transmission Distance =300m via single-mode or OM3/OM4 multi-mode fiber cables.